The San Felipe de Austin Corporation deeded Stephen F. Austin State Park to the state in 1940. The park opened the same year. The park is on the Brazos River, near an old ferry crossing. It is part of the Commercio Plaza de San Felipe; our front entrance is a mile from the center of the historic town of San Felipe. San Felipe was the seat of government of the Anglo-American colonies in Texas. 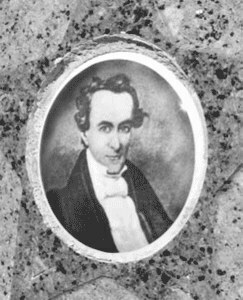 Stephen F. Austin, the "Father of Texas," brought the first 297 families here to colonize Texas under a contract with the Mexican government. 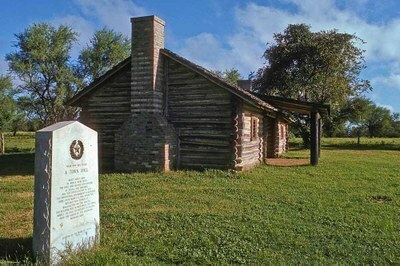 From 1824 to 1836, San Felipe de Austin was the capital of the American colonies in Texas. It was also the social, economic and political center. Austin and other famous early Texans lived in San Felipe. It was the home of Texas' first Anglo newspaper (the "Texas Gazette," founded in 1829) and a Texas postal sys­tem. The Texas Rangers formed here, as well. Many historic events occurred in San Felipe, such as the con­ventions of 1832 and 1833 and the Consultation of 1835. These meetings led to Texians declaring their independence from Mexico. San Felipe became known as the "Cradle of Texas Liberty." Stephen F. Austin began colonizing Anglo-Americans in Texas in difficult con­ditions. Due to his work, about 5,000 people obtained around 1,540 land grant titles. Austin’s original colony was the first, most famous, and most successful of the em­pre­sario grants from Mexico. Austin worked tirelessly to make his colony a success. When Texans grew dissatisfied with Mexican rule, he used his talents to fight for independence.